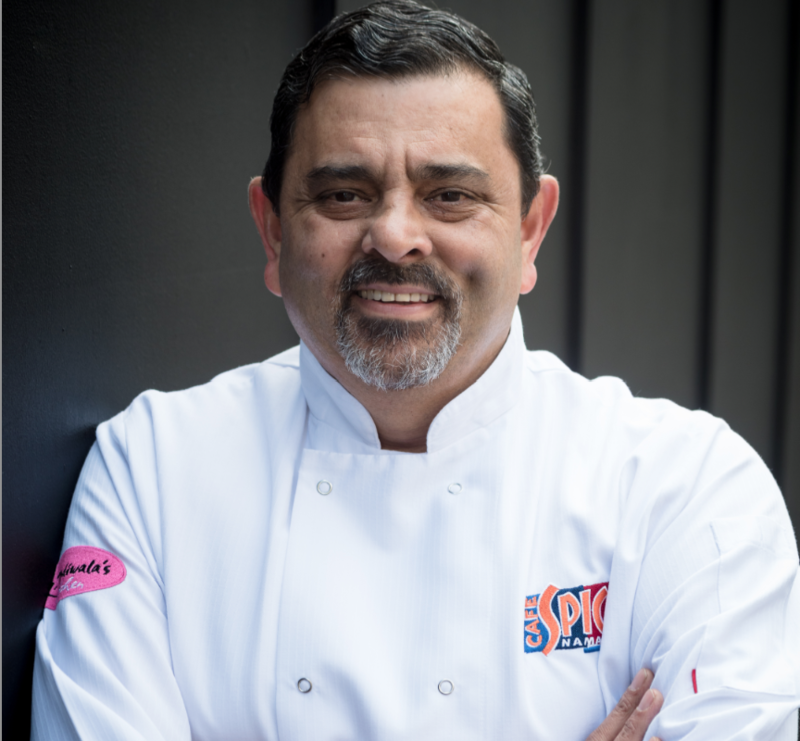 Cyrus Todiwala OBE, chef proprietor of Café Spice Namasté in London, has always lived and cooked ethically. Considering how his actions effect his environment is just a way of life for the Bombay-born chef. While the rest of the UK has been catching up with this philosophy over the past few decades, it’s second nature for the chef whose refined, elegantly spiced cooking has won awards and seen him cook for royalty, presidents and international celebrities. He and his team created and executed the first Diamond Jubilee luncheon for the Queen in 2012. Cyrus moved the family to London in 1991, where they have remained ever since at the helm of Café Spice Namasté (Namasté means ‘a warm hello’ in Hindi). This week being National Curry Week, in its 20th year, Cyrus comments “The awareness of the health benefits and nutritional value of good, well sourced and well-prepared Indian food has grown wildly recently. For example, turmeric is now magical word, but it has always been widely in Indian cooking. I expect that National Curry Week will draw further attention to the intrinsic goodness of Indian spices.” comments Cyrus. Blending traditional Indian and classical French culinary techniques and flavours, his Café Spice Namasté has held a coveted Michelin BIB Gourmand for 18 years. They are pioneers in the UK hospitality industry’s campaign for the environment and sustainability; Cyrus puts his compassionate nature down to his faith. “I lived for a few years in a part of India where the religion is Zoroastrianism, the world’s oldest Monotheistic religion. My wife and business partner, Pervin,and I are devout Parsees and we live and abide by the principles of our faith,” he explains. Cyrus says that his childhood in India has also shaped his attitude. “I lived in a part of India where water was very scarce, power supply was erratic often non-existent and everything had value. Wastage was uncommon and using things over and over again was the norm, conservation was the key word here for everything,” he says. Today, Cyrus is delighted that Britain is more knowledgeable about recycling though he says he still pays a high price to stay true to his principles. “It’s the amount one often has to pay that may dissuade people from becoming more green in their outlook towards their businesses and environment,” he comments. 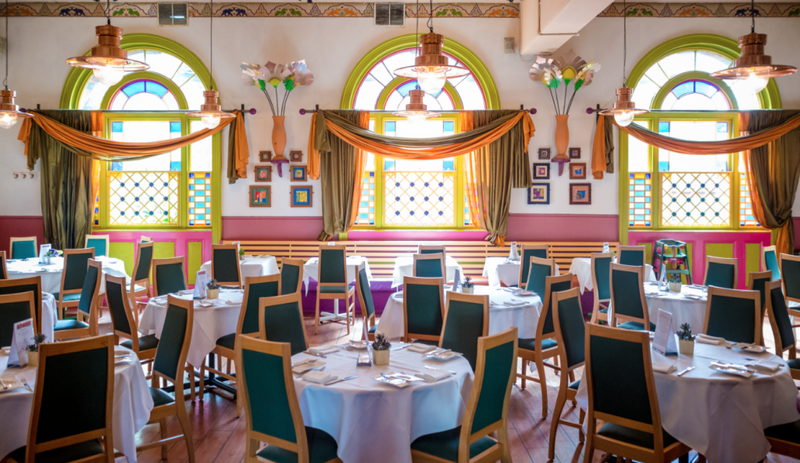 At Café Spice Namasté, they take pride in all they do, from procurement to energy usage, to suppliers. Café Spice Namasté sources almost 100% of its meats and produce from Britain. The team cook with first-pressed rapeseed oil; make inventive use of rare cuts of meat and lay great emphasis on using in-season British vegetables.